Quality repair and services in Clinton County, MO are available from ProCraft Exteriors for your commercial or residential roofing system. If you need service for your roof, you want a roofer who can get it in top shape and that you can rely on. Know that the job is being done right when you choose ProCraft Exteriors roofers, who have years of experience in the roofing industry. 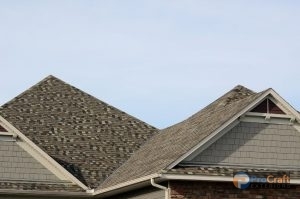 Expert practices and top of the line products are used in your roof repair to ensure that when we leave you, your roof is safe, secure, and will continue protecting your property. Our roofing company is proud to provide our services for cities in Clinton County. 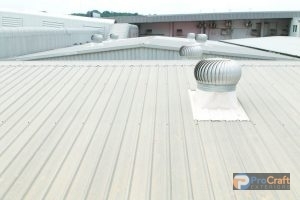 Our expert roofers provide the services you need to get your commercial or residential roofing system back to its best. Get started with an inspection when you call (314) 786-3732 today. Residential and commercial properties can have their every roofing need covered by our many services, ranging from installation to replacement. We listen to your concerns and make them top priority because we understand that no two roofing systems are the same. Our solutions are designed to fit your roofing material, improving it and repairing it so it can handle the next storm. Our repair and restoration options can even add water resistance or energy efficiency to your system. For every service, our team will work with you, advising you on the best options for your roof. When you are looking for a new roof, we are happy to help you find the best material to suit your needs from among our huge selection of roofing materials, including metal roofing, shingles and more. You get a roof that is safe, secure, and repaired to your satisfaction. Want to learn more about our services or available roofing materials? For quality services in Clinton County, MO, dial (314) 786-3732 and speak with our roofers today!